1. Readers who are earning substantial personal investment income ask; should they transfer their investments into a corporation? 2. Small business owners with excess investable assets inquire if they should incorporate a holding company to hold the shares of their existing active corporation’s? An active corporation is a corporation that carries on a real business (manufacturing, providing services, etc.) that does not earn rental income (see exception below), royalties, interest, dividends or capital gains. Based on these questions and the fact that my clients who have corporations that earn investment income, either ask me to “explain this again” each year or just roll their eyes, when I discuss the taxation of investment income, I figured I would give this topic one more try. Please note that all tax rates noted below ignore (figuratively and literally) the May 1st Ontario Budget. For income tax purposes (as I detail below), there are essentially no reasons to incorporate investment income. 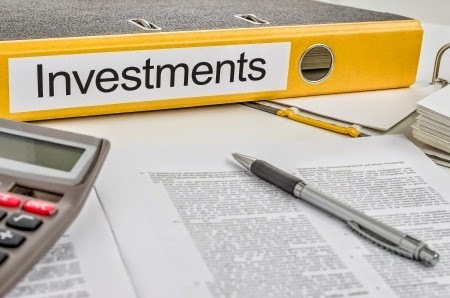 However, there are several non-income tax related reasons for which it may make sense to incorporate your investment income. 1. 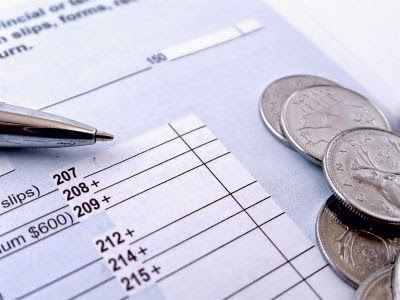 Creditor Proofing - If you have an active corporation (“Opco”), you can protect your cash and retained earnings from creditors (assuming this is not a fraudulent conveyance) by paying any excess cash or retained earnings as a dividend to a newly formed Investment Holding Company (“Holdco”). 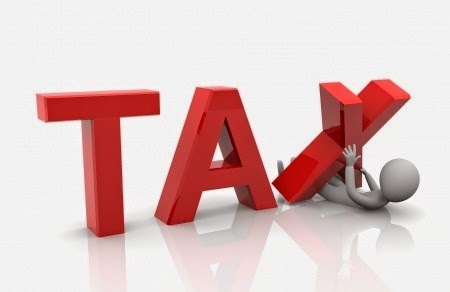 As long as the Holdco is connected to the Opco for income tax purposes (simplistically, owns greater than 10% of Opco), any dividends can be paid tax-free to Holdco. This allows you to use tax-deferred funds to invest (i.e. : in Ontario, the small business rate is only 15.5%, so potentially you may defer and have 31% more funds to invest [46.46% high non-super tax rate if you earn income personally-15.5% corporate rate]). Once the excess funds have been transferred and your Holdco earns investment income on these funds, the tax is essentially the exact same amount you would have paid if you earned the income personally. Thus you have no significant tax savings by using a Holdco to earn investment income, the main benefit is creditor proofing. [Note: For fancier planning, you may be able to use a family trust to own Opco and have a holding company as a beneficiary of the family trust]. 2. U.S. Estate Tax - if you own U.S. securities, you can avoid U.S. estate tax by moving these securities into a Holdco. However, again there are no actual Canadian income tax savings. 3. 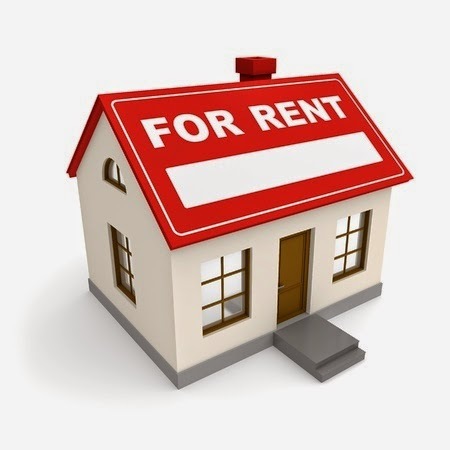 Rental Properties- Many people incorporate their rental properties. However, unless you are a large rental operation with more than five employees, the only reason to do this is for creditor proofing in case a tenant or visitor to the building sues you. There may be a couple other reasons, but these are the three main reasons people use a Holdco for their investment income. The utilization of a Holdco is potentially problematic when you pass away. The reason for this is that upon death, you are deemed to dispose of your Holdco shares on your final terminal tax return for their fair market value (unless they are left to your spouse). So you pay tax upon your death on the value of these shares. However, when your estate starts selling the individual securities in Holdco, the Holdco has to pay tax on the same securities you paid tax upon on your final return, a double tax. In order to avoid this result, fancy tax planning is typically undertaken, which can be costly and cumbersome. If you read my December, 2011 post, you will realize that the reason there is no benefit to incorporating your investment income, is because of the extra layer of tax imposed by a refundable tax known as RDTOH (“Refundable Dividend Tax on Hand”). As I mentioned above, I have been unsuccessful in trying to explain this RDTOH mechanism to my clients, and have now taken a new simpler approach which I will use below. My examples will use a high-rate Ontario taxpayer (not super-rate) who pays tax at the rate of 46.41% on any interest income earned, 29.54% on eligible dividends and 23.2% on capital gains. As I note above, a high-rate Ontario taxpayer would pay 46.41% on interest income. Thus, for all intents and purposes, there is no benefit to incorporating investment income to earn interest income as the corporate tax rate is almost exactly the same as the personal rate. Further the administrative costs (especially the costs paid to your accountant) of maintaining a corporation would also impact negatively on the use of a corporation. As I note above, a high-rate Ontario taxpayer would pay 29.54% tax on an eligible dividend. Thus, the corporation pays more tax initially and there is no benefit to incorporating eligible dividend income (or non-eligible dividend income). 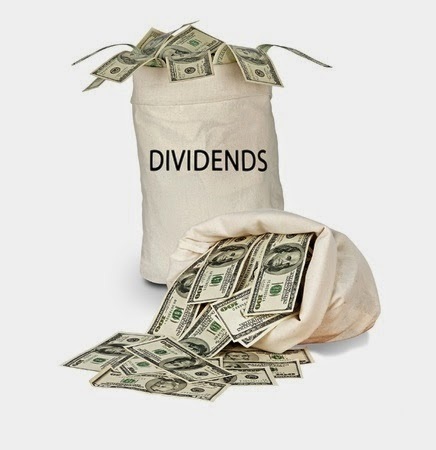 However, when a dividend is paid by Holdco, the refundable tax is refunded by the CRA and the taxpayer ends up with an actual tax cost of 29.54%, so there is not an extra tax cost, just an initial disincentive to incorporate dividend income. As I note above, a high-rate Ontario taxpayer would pay 23.21% on a capital gain. Thus, again, for all intents and purposes there is no benefit to incorporating capital gain income, as the corporate tax rate is almost exactly the same as the personal rate. I hope I have done a better job simplifying this complicated issue so I don’t have to revisit this issue again in the future; if not, I cry uncle anyways. In October, I provided RateHub.ca (an excellent mortgage site) with the following literacy tip for their Facebook page: “Don’t confuse financial literacy with the ability to execute financial, monetary and income tax transactions.” I admit, this tip was a little harsh in tone, but I continue to see more and more misguided souls who think they are tax, legal and financial experts because they have read an article or two, in a blog or book. 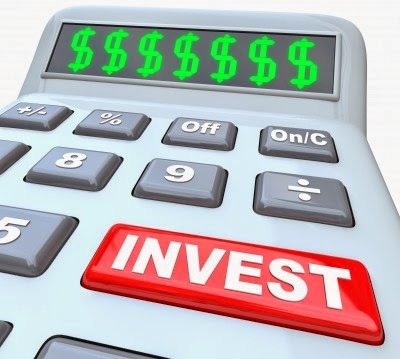 This issue has arisen in part, because DIY (“Do it Yourself”) investors have become emboldened as some (definitely not all) have been able to successfully manage their own investment portfolios using index funds and “Couch Potato” strategies. 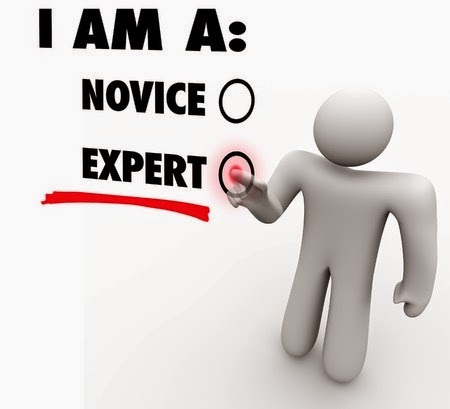 The DIY movement which preaches self-sufficiency for your financial affairs is in my opinion causing many people to consider themselves multi-disciplinary experts when they only have an understanding of a small part of the issue, which can result in costly legal, tax or financial miscues. I see two distinct issues here. 1. Too many people believe everything they read (especially what they read on this blog :). 2. Most tax and legal related information is general in nature. 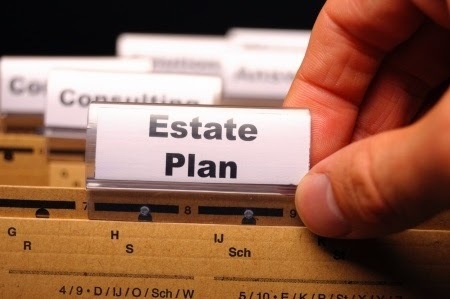 The writers often do not provide the technical details that can make or break a tax or estate plan because of space constraints and because they need to keep the articles "readable". I have noted significant tax planning errors in the popular “Financial Makeover” that many newspapers publish on the weekend. These errors reflect that even financial planners over-step their expertise and think they are also tax planners and lawyers. Below, I have some common tax related issues that arise with DIYers. If you have a simple tax return with a few T4, T5 and RRSP slips, I have no issue with you doing your own return; although you can still easily be caught by elections and one-time events you may not be aware of. However, if you have self-employment income or rental income, in many cases, being a DIY tax expert can be penny-wise and pound foolish. 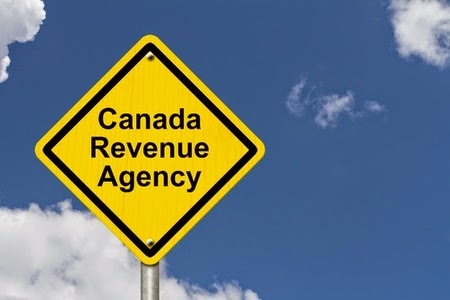 With respect to business and self-employment income, people tend to make some outrageous claims for their home office (that could impair their principal residence exemption) and auto usage that are red flags for the CRA. 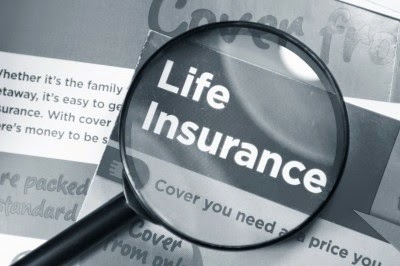 In addition, they often claim non-deductible expenses such as clothing and life insurance. For those people with rental properties, I’ve seen people make a mess in the structuring of the initial ownership, their reporting of the personal use of the property (if any) and how they report large repairs (they claim capital expenses as repairs and repairs as capital expenses). I have written extensively about probate and property transfer landmines, that DIYers set-off when undertaking their own estate planning. If you transfer property to anyone other than your spouse, you have a deemed sale for tax. I have seen people transfer cottages, stocks, principal residences (not typically an issue upon transfer, but an issue after transfer in that the tax-free status of your home is lost on the portion transferred). You should never be a DIY tax planner when you transfer property of any kind, the tax traps are extensive. Cocktail parties tend to breed DIY estate planning experts who inform anyone within shouting distance to transfer property to their family members to avoid probate fees. I call this double martini/double trouble advice. The problem is that the CRA does not recognize these transfers where you don’t also transfer the beneficial ownership (real ownership) and thus, a property transfer “for show” does not legally reduce your probate fees on death (at least in the CRA's eyes. Some estate planners are less concerned as they say the provinces do not look into the history of ownership). Even if you feel the transfer is effective for probate purposes, these transfers are not effective for income tax purposes. More importantly, from an estate perspective, these transfers often become catalysts for family litigation. Children litigate over whom mom and dad actually left the property to; where their parents only transferred the property to one of their children for the sake of simplicity, such as putting a child's name on a joint bank account. In 1994, the government eliminated the $100,000 capital gains exemption, but allowed an election to “bump-up” the value of property you owned at that time up to $100,000. Although this was widely reported in the press, you would not believe how many clients I have picked-up since 1994 that did not make the election on property that had appreciated significantly, typically their cottage or other real estate investments. This omission has cost many people approximately $25,000 in tax that need not have been paid. Another election that is commonly missed by DIYers is the 45(2) election where you change the use of your home to a rental property. Without this election, you are deemed to sell your home at the time you change its use. 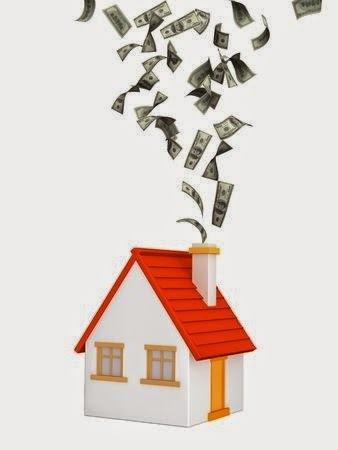 While typically this does not result in any income tax at the time (as your principal residence is tax-free), by not making the election, you may owe income tax on the future sale of your home that may have been avoided by making the election. DIY legal errors are often errors of omission as much as errors of commission. I discuss two of those areas below. DIYers love to incorporate their own companies. It is cheap and fairly easy to do. The problem is that they almost always limit the share attributes which often requires articles of amendment in the future and may also create problems on the sale of the corporation. 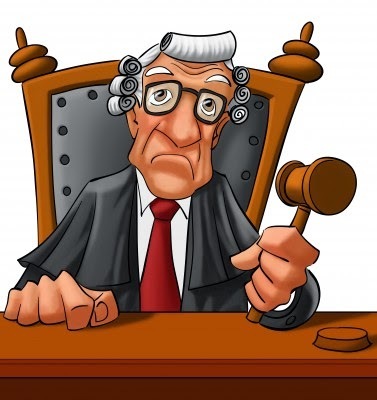 In addition, many "DIY lawyers" issue common shares to themselves and their spouses, but almost always never consider discretionary shares that provide for the payment of all or a portion of the dividends to a lower income spouse for income splitting purposes (I will have a future blog on this topic). In the rare circumstance that they do consider discretionary shares, they often do not create the distinction in classes necessary for discretionary shares. 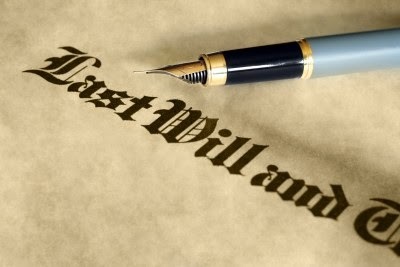 why anyone with any assets of a substantial nature would not pay for a proper will and power of attorneys for both your competency and financial affairs. This does not even account for the fact in certain provinces you can have a second will to avoid probate on the value of your private corporation, amongst other items. My advice; do not be seduced by your own financial literacy and overreach your expertise. Just accept that professional advice is often a necessary evil. In August 2011, I posted a blog titled “The Income Tax implications of Purchasing a Rental Property”. There are 300 comments and answers on this post (so many that I added a note at the end of the blog a while back, that I would stop answering questions on this specific post). I recently read through the comments and realized there were several excellent questions that have probably been “lost” in the morass of questions. Today, I have decided to highlight some of the better questions. In some cases I have expanded my answers. Q: With respect to rental income being considered passive and therefore taxed at the high rate - is there are certain point or threshold when a real estate company's rental income is considered active and therefore eligible for the small business deduction? Is it still considered passive when you grow to a certain number of properties or employees? A: Chris, great question, the answer is yes. A real estate company would be considered a specified investment business and not eligible for the small business deduction. However, if the corporation employs greater than 5 full time employees, the income is deemed active and eligible for the small business rate of 15.5% or so depending upon your province. I have clients with multiple corporations, each owning a single rental property. If one of the corporations has more than five employees, who really are also employees of the other corporations, it may be problematic to claim the active tax rate in that corporation. 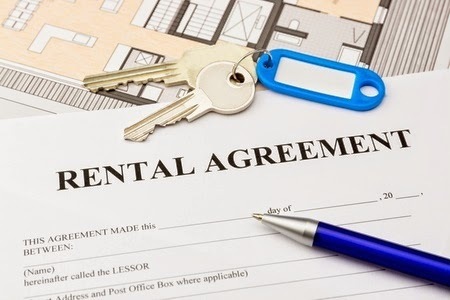 You may be able to utilize a management company, however, where the rental properties are residential, they cannot claim back the HST they pay, so a management company may not work. Q: This is the best rental property tax blog that I have seen for Canada (Bloggers note: I just selected this question because of the opening sentence to this question :). which has generated a modest profit for the past 5 years. Does the government care if you generate a loss for an extended period of time (over 10 years)? Thank You! A: Flattery will usually get you everywhere. But in your case, it will only get you a link to a Torys LLP newsletter. Although the link is dated, it should answer your question.This is really a question on the "reasonable expectation of profit" doctrine. The key comment in the Tory's newsletter is the following: “Essentially the court have held that where an activity is a commercial activity – that is, it does not have a personal element-there should not be judicial or CRA scrutiny of the taxpayers business judgment for the purpose of determining whether or not the activity is a source of income". As per the comment above, commercial activities are problematic for the CRA to attack, so they have been going after taxpayers who claim losses with any kind of personal element. Q: My husband and I have a duplex in both our names. Both units are rented out at this time. My husband is the sole provider for the family and I stay at home with the kids. My question is how do we claim the rental? Do we claim it 50/50 or does my husband claim 100% since he is responsible for the expenses etc. A: Legally if ownership is 50/50, you must report the income 50/50. However, for income tax, there is the issue of income attribution. i.e. : whose money was used to purchase the property or was it a Line of Credit with both names. If your husband used his money and put the property in both your names, then technically all the rental income or losses should be reported by him. Although technically incorrect, many spouses seem to ignore the attribution rules and report income/losses on a 50/50 basis. Q: Hi, I love your blog and how accessible you are, thank you so much for your contributions! I have a very old house that I have been renting for five years now. The roof has to be repaired or it will soon start to leak. We want to replace the roof with life-time guaranteed shingles. Is this kind of expense a current expense since it's required to maintain the current quality of the house or a capital expense since it also increases the value of the property? A: Great question. Technically the CRA may say you have improved your roof by purchasing shingles that are better than the prior shingles or the lifetime guarantee makes them better than the prior shingles and thus the cost should be capitalized. However, I would suggest that the majority of accountants would likely expense the cost and argue this is purely a repair, but it is not 100% clear. Q: I purchased a revenue property in Quebec 5 years ago and I am planning on possibly selling it this year. 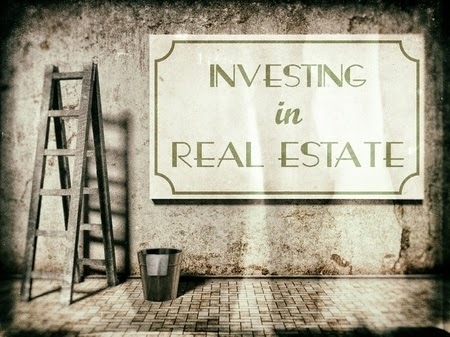 Can I amortize the capital gains from the sale over 5 years? I am considering possibly selling it and buying another revenue property immediately afterwards. I.e. during the same year. I was told that if did do this then the capital gains from the sale of the property would not need to be declared since I am using the profit to buy another property. Is this true? A: For capital gains there is typically a five year reserve available where all the proceeds have not been received on sale, see this example. In respect of the second part of this question, you are asking about the replacement property rules. These rules would not typically apply to rental property purchases and re-purchases, but relate to business properties replaced. This paper from CGA Magazine discusses the issue. Q: I have a couple of rental houses and currently considering incorporating them to credit proof my personal assets. I understand that the rental income is treated as passive income so no benefit, but is there a difference if the rental property was sold through a corporation or held personally - i.e. can the capital gain be reduced capital gains exemption? A: The capital gains exemption is not available on the sale of shares where the underlying asset is a rental property not used in an active business. The benefit of incorporation is pretty much creditor proofing and maybe some income splitting with your spouse depending upon the circumstances. Q: Hi, Great blog. I purchased a 2 floor office condo (525k, 2800 soft) and its part of a 6 unit block of 2 floor office condos. One floor I rent out and one floor I use for my business. I can't find anything to indicate the value of the land for tax allocation. Do you think using the 10% rule of thumb would be appropriate in this situation and would a rule of thumb satisfy CRA? A: Where there is no hard evidence to determine the allocation between land and the building, it would not be unusual for many accountants to use 10% for land related to a condo. That does not mean it is correct and that the CRA would not challenge the allocation, however, I have not seen the CRA challenge this. Q: What are the tax implications of purchasing a home for myself and family to live in as our primary residence and renting out the basement. Would it be the same implication if we put an addition on the house but we still occupied more than 50%. Thanks. A: This is what the CRA says, I think their response answers both your questions. These conditions can be met, for example, where a taxpayer carries on a business of caring for children in the home, rents one or more rooms in the home, or has an office or other work space in the home which is used in connection with business or employment. In these and similar cases, the taxpayer reports the income and may claim the expenses (other than CCA) pertaining to the portion of the property used for income–producing purposes". How do I calculate percentage used for business? Is it just the rented weeks (12) or available for rent weeks (13)? And in the denominator, can I use 16 weeks or do I have to use the whole year. A: See the discussion in this paper about your issue. The paper says this. “In the Morris case, the decided that the portion of the operating losses to be written off against income was the percentage that is was available for rent during the operating season. Since the cottage was frozen for a portion of the year and therefore not rentable, the expenses for that period of time were not deductible. Keep in mind that this is the CRA’s view, I am sure lots of people do not necessarily agree with their position, but if you take an alternative position, you may be challenged. As you will have observed from the above Q&A, some of the income tax issues that arise in respect of owing a rental property are complicated or fall into a murky grey area. I would suggest that if you own a rental property, you should probably have an accountant assist with your income tax return. 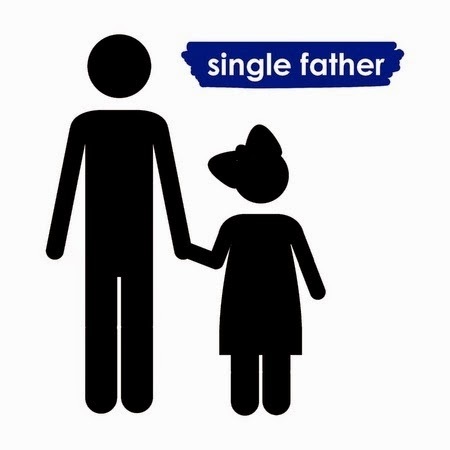 Today, I am posting Part 2 of Rona Birenbaum's series on The Burden of Singledom. I thank Rona for her guest posts. Part 1 of this series highlighted the financial planning challenges unique to those living single. 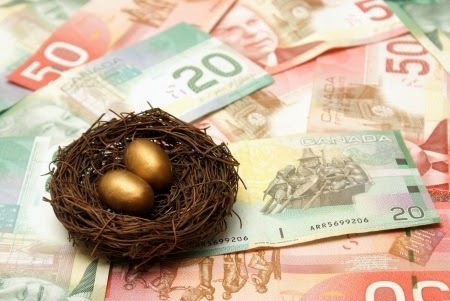 It may be this group of Canadians that Provincial governments are focused on as they push for additional pension plan options for Canadians beyond the Canada Pension Plan (CPP). The Federal government is not in favour of an across the board increase, leaving it up to the individual provinces to introduce their own enhanced pension plan structures. 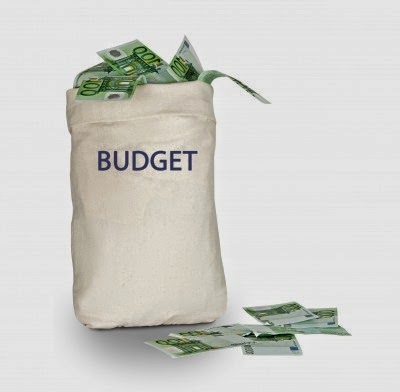 Whether or not there is an enhancement to the CPP or the introduction of supplemental provincial programs, it will require increased contributions by both employees and employers. It will be short-term pain for long term gain. So, what financial advice would we give to single working parents earning an average salary? It’s all about increasing income and reducing expenses so that life is affordable now and in retirement as well. Here are some ideas on dealing with both sides of the cash flow management equation. All of these programs have material financial value. An individual who has job paying $48,000 with a number of these benefits is at a distinct financial advantage to one who has a similarly paid job without such benefits. One of the best financial moves that one can make to improve their overall financial well-being in both the short term and the long term is to position themselves at a company that offers a well-developed employee compensation model that isn’t limited to salary alone. Here are what some of the corporate leaders in this area offer their employees. As the author, Nora Roberts said, “If you don't go after what you want, you'll never have it. If you don't ask, the answer is always no. If you don't step forward, you're always in the same place.” Amen. To help you get up the nerve, and design a strategy for the big ask, check out this Globe and Mail article on the subject. Spending carefully is more empowering than having to “spend less”. 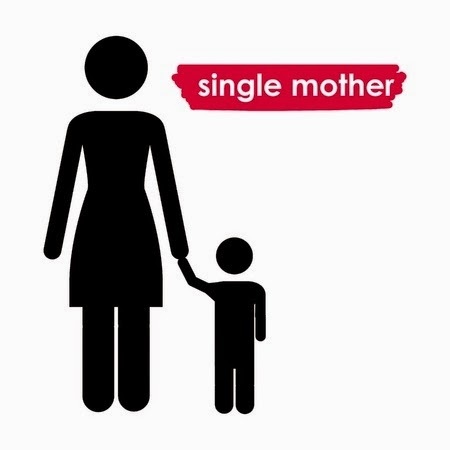 Living luxuriously is not the reality of the average earning single parent. What does careful spending look like? Always ask for a discount! Nora Roberts’ quote applies equally well here. Here is another handy Globe and Mail article to reference. Take transit versus owning/leasing/financing a car – if practical. Pay with debit, avoid credit at all cost unless you can diligently pay the card in full every month and only use the card to collect points of some sort. Encourage children to get a part-time job when age appropriate (around age 16) and allocate at least half towards an education savings account. As you can see, even an average earning person living single with or without children can take steps to improve their financial situation now and in the long term as well. Rona Birenbaum is the founder of Toronto fee for service financial planning firm, Caring for Clients. Rona is frequently contacted by the media as a resource on a wide range of financial planning subjects. This information is general in nature and is not intended to constitute specific tax advice for any individual. It is best to speak to your tax professionals for specific advice. 1. I thought it would provide an interesting diversion from my usual daily professional life (little did I know a blog is like having a part-time job). 3. To improve financial literacy from an income tax perspective. I felt there was lots of tax and financial advice coming from people who really had no idea what they were talking about. I have balanced my intent to market to my target audience with the reality that most Canadians and many of my readers are not necessarily corporate business owners or high net worth individuals. While my underlying posts are written for entrepreneurs and will continue to be so; I try where possible to provide information that can be of assistance to readers of all income levels. 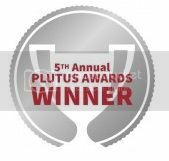 When I write about topics such as clients who have $100,000 capital gain misreporting issues on their flow-through shares or whether you should bonus your corporations income when the corporations income exceeds $500,000; I often think to myself “the average person must think I live in a different world”. The reality is I do. Many of the people I deal with are very wealthy. However, I am always cognizant that some of these posts may be almost insulting to some people. came to were not only depressing but obscene to her. She suggested that my series like most retirement articles had not considered single people. She also noted that there are substantial numbers of single women who after paying for rent, their kids and maybe even caring for their parents have no money left to save for retirement and I should consider such people. I wrote back to her that as per my header, she was not my target market and that the series was not written for lower income Canadians. However, I told her that I understood her frustration with the fact most financial articles did not consider single people and moderate to lower income Canadians and I would see what I could do. I then emailed Rona Birenbaum, a well known and often quoted financial planner whom I have worked with in the past and who, like me typically deals with high net worth clients. I asked Rona if she would be willing to write a post of financial considerations for single people and whether she would be willing to write a second post for single people who make moderate to average salaries and have a hard time meeting daily expenses, let alone saving for retirement. Rona accepted my offer and today she writes about "The Burden of Singledom" and on Wednesday in part two of her series writes about the additional burden of being single when you earn an average salary. I thank Rona for her contributions and without further ado, here is part one of her series. Whether single by choice or circumstance, singles bear full responsibility for their financial well-being. The financial media most often focuses on financial planning for couples, although more and more there are case studies highlighting the financial concerns of those who go it alone. This blog post attempts to highlight the special financial planning considerations for single men and women. Financial security is as much about income generation as it is about expense control and saving. Singles cannot rely on a partner to supplement their own earning ability. They also don’t have an income back-stop during times of unemployment, due to career transition, maternity/paternity leave, disability and the like. secondary consideration. Life insurance makes sense if there financially dependent children and/or parents. Also, make sure that you have an emergency fund representing 3 months of cash flow for the unexpected or a period of unemployment. Many employees use family days and vacation days to take children to doctor’s appointments and to support aging parents. Single people only have one pool of days off to draw on, potentially leaving them with little or no time for actual vacation. Invest in your physical and mental health. It may not be possible to eliminate the need to take time off to support children and parents, however, minimize personal sick days by taking care of yourself. Self-care is also an excellent stress management strategy for those with complete responsibility for themselves and their family. One of the most generous tax breaks established in recent memory is the ability for married retirees to split pension income (pensions, RRIF payments, annuities, CPP, OAS). Singles miss out on this entirely. Take advantage of all available tax breaks. 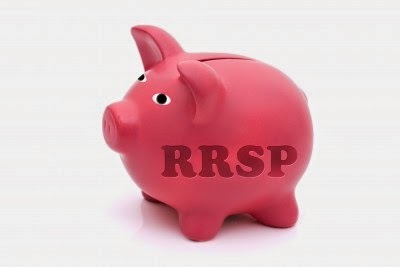 RRSPs for retirement, RESPs for education savings, and TFSAs for emergency savings. Other eligible tax credits include: children’s fitness tax credit, children’s art tax credit, first time homebuyer’s tax credit, public transit tax credit, first time donor’s super credit. For details on all of these credits and to confirm eligibility to go this CRA website. Don’t forget to deduct child care expenses up to $7,000, and moving expenses if the distance from your new home to your place of work or school is at least 40 kilometres closer than from your old home to your work or school. The 40 kilometres is measured by the shortest normal route open to the travelling public. Singles are entirely responsible for securing their retirement cash flow. It’s also almost universally true that two can live cheaper than one. Participate fully in group retirement savings plans that include a component of employer matching. Also, a financial plan will assist in determining the amount of savings necessary to fund a secure retirement. The sooner a plan is done and adhered to, the better the chance of achieving financial security in retirement. Managing finances on your own can feel overwhelming at times. Solid financial planning can give singles a feeling of confidence and control over their current finances and future security. Let me say this upfront. I think yesterday’s Ontario budget is fiscally irresponsible. 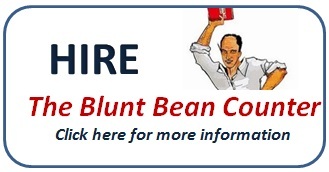 However, I am prejudiced to start, as I am a Conservative voter and a bean counter. Notwithstanding my political leanings, if the budget is ever passed into law, here is the reality of the situation. As my readers are aware, I am the managing partner of my firm (Note: I have not yet discussed the implications of the budget with my partners, so these views are mine at this point and not of my firms and any venom from Liberal and NDP supporters should be solely directed at me). Here is how our partner meeting after the budget is passed (if it is ever passed) will go. I will say to my partners we have 30-35 people in the office and the cost of the pension reform will be as high as $1,700 per person or somewhere in the range of $50,000-$60,000 before tax for our firm. Our income taxes have gone up say $3k to 4k per partner, so we are out $18,000-24,000. Thus, we will have $70,000 -$85,000 less in our pockets. I would then proceed to say we are willing to absorb say 25% of this hit, but not the next 75%. Thus, we have three options: either we lay-off our weakest employee, don’t hire the person we were going to hire that year, or cut back our costs $50,000 -$70,000 (assuming we are absorbing 25% of the hit). It’s very simple math and if people are honest, the same conversation will go on around the province and those employers with the ability to hire out-of province will do so. Those without the ability to hire out of province will have to decide whether to absorb these additional costs (some large corporations may also have an additional corporate income tax hit) or reduce their workforce to keep their total costs in-line. The result, net-net job gains of zero or at best a job rate growth of an infinitesimal amount.